Tearproof, waterproof and self protecting - Versa Tags Laminated Key Tags stay readable! 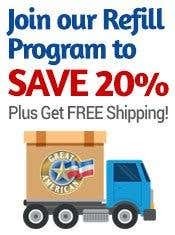 Order today from Great American. Laminated Key Tags Tearproof, waterproof cover protects information and keeps it readable! Save time by color coding keys! Tearproof, waterproof cover protects information and keeps it readable! High quality, genuine Versa-Tags Key Tags are the ORIGINAL self protecting key tags! Self protecting Laminated Key Tags have a tear proof, self laminating cover that keeps the information readable by protecting it from dirt, grease and moisture. Multiple colors allow organization by franchise, model year or insurance company! Versa-Tags™ Key Tags are an unbeatable choice for your car dealership or repair shop. Assorted Box 50 each of yellow, white, blue, red, and green key tags, 250 metal key rings.